While Saint-Gobain is more than 350 years old, Saint-Gobain North America isn’t exactly young. Our roots stretch back more than 130 years. Through strategic mergers and smart acquisitions, Saint Gobain North America has grown and expanded into all 50 states and dozens of different product categories. Here’s a history of our history. Saint-Gobain Calmar is sold to MeadWestvaco. Saint-Gobain Performance Plastics sells its Synflex business to Eaton Corporation. CertainTeed’s window business is sold to Ply Gem. The Saint-Gobain Desjonquères perfume bottle business is sold to Sagard and Cognetas. Norandex Building Materials Distribution, with more than 150 branches, is acquired by Saint-Gobain, representing the company’s first major investment in the distribution business in the United States. Saint-Gobain sells its Reinforcements & Composites businesses, including three U.S. plants, to Owens Corning. J&J Scientific, a supplier of innovative, single-use products for the biopharmaceutical market, is acquired and becomes part of Saint-Gobain Performance Plastics. Moyco Abrasives, a manufacturer of highly technical coated abrasive products for lapping, grinding and polishing applications, is acquired. Saint-Gobain wins the Environmental Protection Agency’s “Energy Star Partner of the Year” Award for the first time. Ottawa Fibre, a Canadian manufacturer of fiber glass insulation products, is acquired by CertainTeed. Saint-Gobain acquires 50 percent of SAGE Electrochromics, a leader in tintable electrochromic glass for use in building windows, skylights and curtain walls, to build the world’s first large-scale electrochromic glass plant in Faribault, Minnesota (United States). Saint-Gobain announces the development of a new manufacturing facility in Goodyear, Arizona, a solar mirror line for solar thermal power station, the company’s first solar plant in North America. Saint-Gobain acquires SolarGard, a high-end glass coated films used in the habitat market (architectural glazing for residential and commercial buildings), the automotive market, and various industrial applications. SolarGard has 140 million in global sales with 250 employees, with sites in San Diego, as well as Belgium and China. Saint-Gobain is awarded the ENERGY STAR® Sustained Excellence Award by the U.S. Environmental Protection Agency recognizing the Company’s outstanding leadership in energy management and reductions in greenhouse gas emissions. Saint-Gobain acquires 100 percent of SAGE Electrochromics. Saint-Gobain announces the development of a Crystals substrate plant in Devens, Massachusetts, to make sapphire wafers used to make LEDs. Approximately $30 million invested with up to 90 new jobs created. 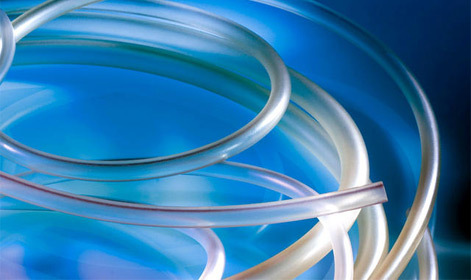 Saint-Gobain’s Performance Plastics Business acquires a range of healthcare related businesses. Saint-Gobain sells Verallia North America to Ardagh, and no longer manufactures or sells glass packaging in North America. Saint-Gobain, the world leader in the habitat and construction markets, designs, manufactures and distributes building and high-performance materials, providing innovative solutions to the challenges of growth, energy efficiency and environmental protection. ©2014-2019 Saint-Gobain. All rights reserved.